Laser Putting, Night Glow Golf, Gourmet Food Truck and More! Every Thursday - Saturday during season (10/18/18 - 5/18/19), get ready to see Indian Wells Golf Resort in an entirely new light! Guests visiting this slice of the Coachella Valley now have a new way to spice up their nighttime activities after spending the day on the golf course or in the conference room. 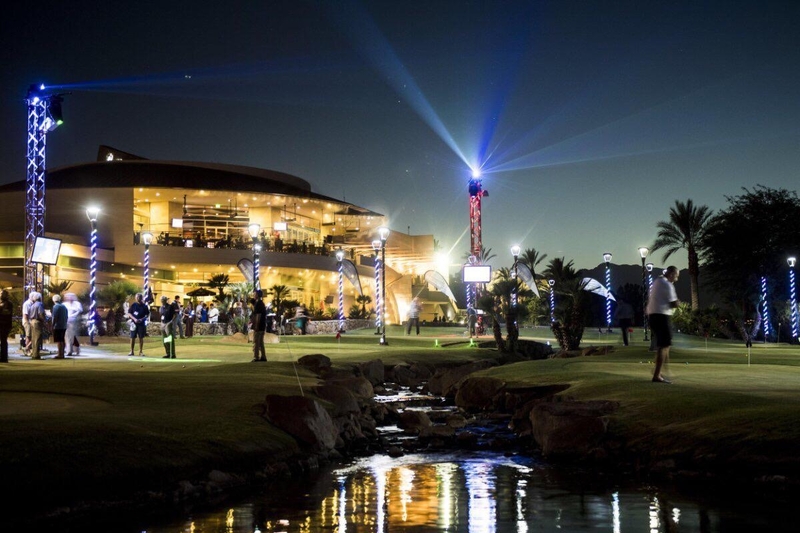 Indian Wells Golf Resort is unveiling "Shots in the Night," an evening extension to its golf facility that will provide guests the opportunity to enjoy a unique experience on the driving range and putting course after the sun goes down. Only $40 rental per green or range bay per hour for up to six people. The VUE Food Truck will be on hand to deliver the the great food and drink and a live DJ to enhance the scene. Reserve your spot today! Call 760.346.4653.